The American public is always quick to anoint promising athletes as the next big thing. In some cases, hyperbole spirals out of control to a point where the phrase the best ever comes to the forefront. Christian Pulisic has certainly commanded some of this hype. The 19-year-old footballer from Hershey, Pennsylvania is already being proclaimed by many as the greatest American player of all-time. There have been no shortage of achievements thus far in his short professional career. At 17, Pulisic was the youngest non-German player to ever score in the Bundesliga. At the same age he also became the youngest American to ever land on the score sheet for the United States Men’s National Team. He’s already accumulated 12 goals and 15 assists since debuting for Dortmund back in 2016. Perhaps even more impressive, Pulisic has become a starter on a team competing in the Champions League. He’s unequivocally one of the top prospects in the world — and especially for anyone younger than 20 years of age. Dortmund is a great club from a development standpoint. It’s also enjoyed its fair share of success domestically. With that said, it’s not a super club. There are bigger-named sides lurking out there. It’s only a matter of time before Pulisic plies his trade elsewhere. However, the question persists: Should Pulisic leave during this summer transfer window — or continue to play for Dortmund? Rumors have been swirling over Pulisic’s future. Recent reports indicate that the likes of Real Madrid, Chelsea, and Bayern Munich all have varying levels of interest in the elite prospect. Liverpool has also often been linked to Pulisic. This is largely based upon the relationship Pulisic has with Liverpool’s manager, Jurgen Klopp. As one recalls, Klopp was instrumental in not only signing Pulisic for Dortmund — but also in developing him as a youth player. Liverpool plays an attractive style of football. There’s also the familiarity with both Klopp and the team’s tactical breakdown. The interest of Real Madrid certainly has made headlines. One of the biggest clubs in the world, Madrid has also been tied to the likes of Eden Hazard and Willian. Some reports saying Pulisic is on Real Madrid radar now. Could also imagine heightened Chelsea interest if they lose Hazard. Bayern Munich has gotten a long look at Pulisic during his time in the Bundesliga. With aging wingers patrolling the flanks (Arjen Robben, Franck Ribery), nabbing a talent like Pulisic would make some sense. Chelsea may be close to selling both Willian and Hazard in search of some fresh blood. Pulisic is a tricky player. Exceptionally quick, Pulisic can play both out wide as a winger, and tucked inside behind the target striker. For the national team, much of his production came centrally. However from a long term standpoint, operating on the flanks is Pulisic’s best position. His work-rate is impressive — as is his speed and commitment to tracking back. Moving to any of these three clubs would be an obvious step up in level. That is unquestioned in nature. It would draw considerable interest from those both abroad and stateside. Pulisic would also be competing for league titles as well as the Champions League crown. He can’t say the same thing at Dortmund. While all of this looks great on the surface, we’ve got some advice for Pulisic: Stay where you’re at. He’s still an exceptionally young player. In order to fully develop as well as improve, Pulisic needs games. Playing week in and week out simply should be the desired goal. At this point in his career, it’s not a guarantee that he’d be in the starting XI in any of the aforementioned clubs. Chelsea is notorious for shuttling players in and out. It’s also a club often beset by rapid managerial transition. In short, it’s not ideal for a younger player looking to break into the first side (ask Mo Salah). Liverpool’s attack features Sadio Mane, Roberto Firmino, and Salah. Additionally, the team signed Xherdan Shaqiri — another attack-minded footballer. With Daniel Sturridge, Georginio Wijnaldum, and Adam Lallana still on the books, it isn’t a guarantee that Pulisic will see a ton of time. Real Madrid is the world’s top squad at the moment. It’s a pressure-packed club — and one which has little patience for inconsistency of any kind. 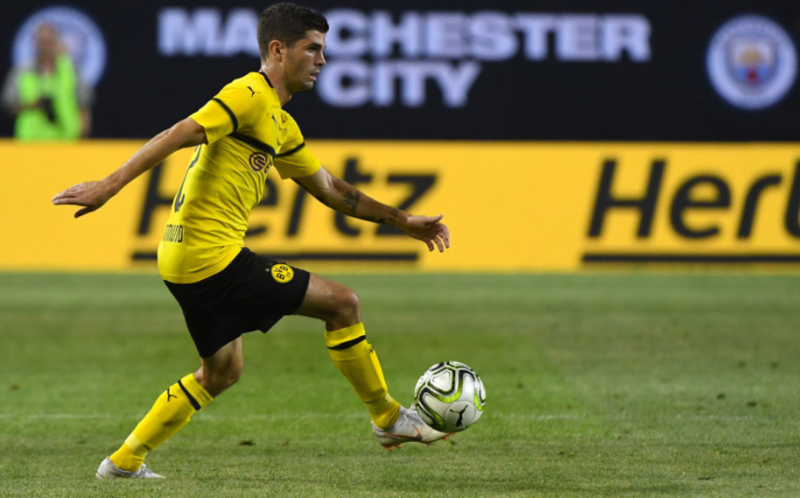 Whether it be the growing pains of a young player, or the heartache of missing out on the World Cup, Pulisic was somewhat inconsistent last year with Dortmund. A move to Madrid might be a bit too big for him at this moment. If Gareth Bale isn’t consistently starting for this squad, it is realistic to believe Pulisic will be? 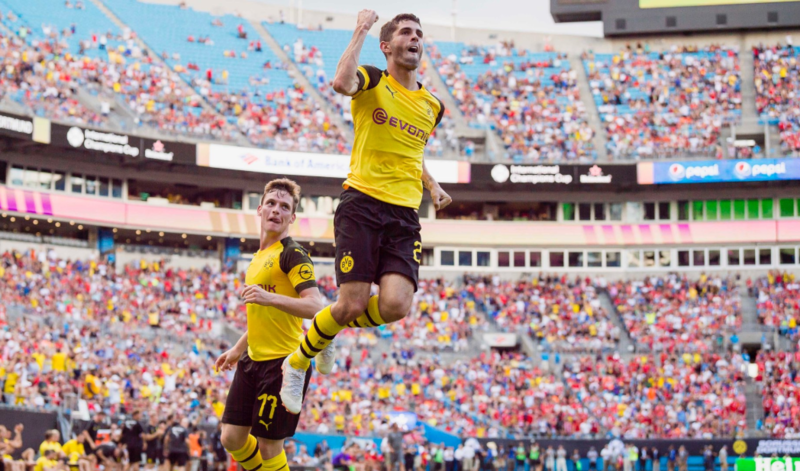 It was the Christian Pulisic show in Charlotte on Sunday! From a fit standpoint, Bayern Munich might be best. Pulisic would be contending with Robben and Ribery still starting. There’s also the competition emanating from fellow young wingers in Kingsley Coman and Serge Gnabry. Pulisic’s play surely was hindered by the departure of Pierre-Emerick Aubameyang. Without a constant threat up top, Dortmund’s scoring output fell off. Pulisic also failed to cultivate immense chemistry with other options at the target forward spot. As of late July, Dortmund hasn’t really done anything to remedy this situation. On a positive note, Pulisic has been Dortmund’s best player during the preseason period. It appears as if he’s ready to step up and be a leader on this team. At the very worst, he’s penciled in at a starting spot on the wing. It’s not as if he isn’t a known commodity. Pulisic will still be tracked by all major clubs should he stay in Germany. For the trajectory of his career, it would be better for him to get another year to prove himself rather than languishing on the bench for a bigger club. It could be detrimental to his future upside as a player. 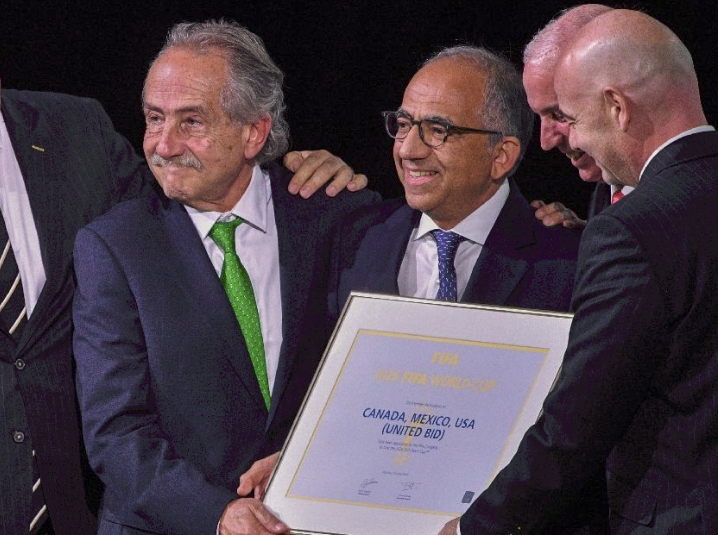 As a result, it could hurt the prospects of the United States Men’s National Team in the process.